My darling friend Alissa gave me this recipe from her sister Risa and it a zesty delight. A perfect lunch salad, light dinner or try it spooned it into lettuce cups for a healthy appetizer. It’s naturally gluten free and you can easily make it vegetarian/vegan by omitting the shredded chicken. Cook the brown rice according to the package instructions. Transfer the rice to a large bowl and fluff with a fork, allow to cool. 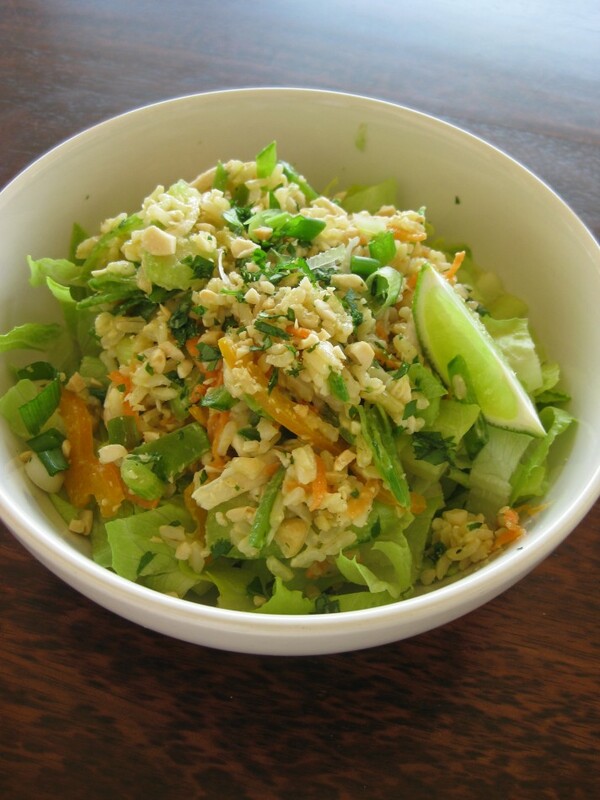 Add the shredded chicken, vegetables, scallions, 2 tablespoons peanuts and cilantro and toss to combine. 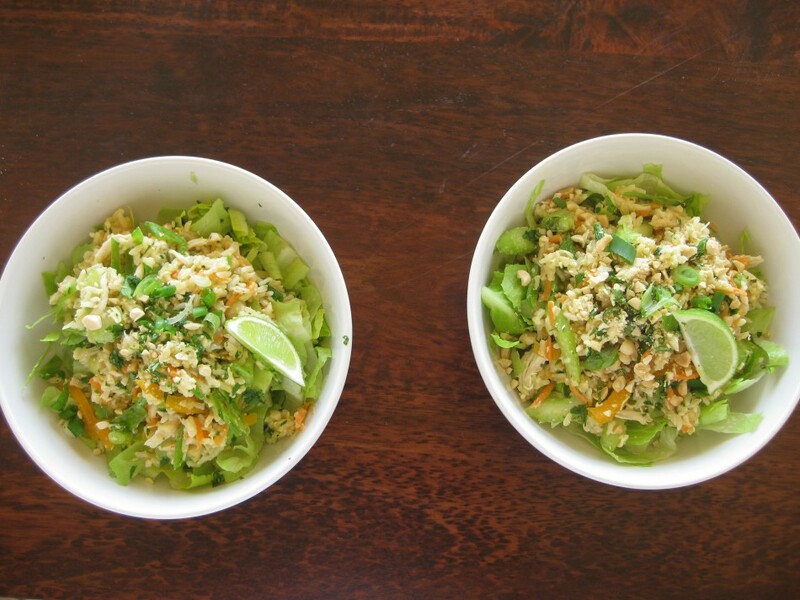 Make a dressing from the fresh lime juice, salt, minced garlic and then whisk in both oils. Toss the salad with the vinaigrette and garnish with extra cilantro and remaining chopped peanuts. Serve with a wedge of lime.